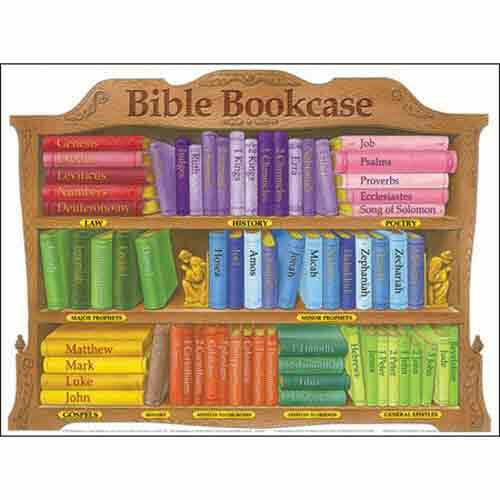 The Bible Bookcase laminated chart is a Sunday school classroom favorite. The bright colorful wall chart shows all 66 of the books of the Bible grouped and color coded into their categories, such as Gospels and history. 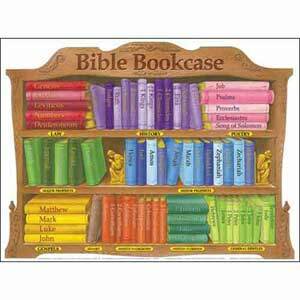 The Bible Bookcase is an excellent tool for helping younger students and new believers memorize the books of the Bible. Reproducible worksheets on the back include a miniature of the chart in English and Spanish. Churches and Christian schools have made Bible Bookcase a bestselling resource.